Could a Glass of Beetroot Juice before Exercise Fight Brain Aging? Home » Brain Function » Could a Glass of Beetroot Juice before Exercise Fight Brain Aging? A question I get a lot from people of any age and fitness level is, “What should I eat or take to improve both my health and fitness?” With this big question in mind, today I’m going to tell you about the just-discovered benefits of a humble root vegetable: the beetroot (aka beets). 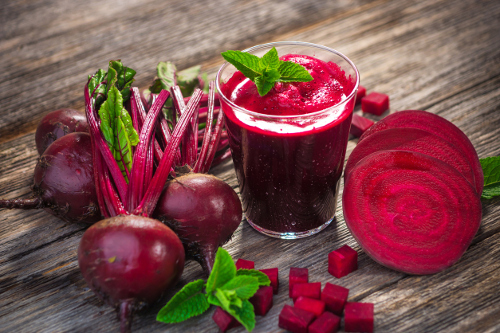 The beetroot is one food item that I’d venture to call a “superfood.” Studies examining beetroot juice as both an anti-aging and performance-enhancing agent are quite convincing. Adding the vegetable or the juice to your diet is definitely worth considering regardless of your current age or fitness level. A brand-new study of particular interest is one featuring middle-aged and older adults with high blood pressure. Can Beetroot Juice Rejuvenate the Brain? Twenty-six men and women aged 55 and older who did not exercise participated in the study. All had high blood pressure, and took no more than two medications to treat their hypertension. Three times a week for six weeks, participants were given either a beetroot juice supplement called “Beet-It” with 560 mg of nitrate or a placebo with very little nitrate. Each drank the beverage an hour before walking on a treadmill at moderate intensity for 50 minutes. Post-exercise analyses showed that those who drank the beetroot juice had superior brain connectivity. This study illustrates that what you eat is extremely important to brain and physical health, usually in conjunction, while being a central component of your ability to live independently later in life. What makes beet juice so great for both your brain and body is the presence of nitrate. When you consume dietary nitrate—of which beets and beetroot juice are phenomenal sources—it is ultimately converted to nitric oxide (NO). NO helps dilate your arteries so that more oxygen-rich blood is able to circulate between your brain and your muscles, promoting both anti-aging and performance enhancement. All in all, beetroot juice is one of the best additions you can make to a healthy diet. It could help with brain and exercise performance and enhance cardiovascular function, which all leads to a healthier, stronger you. Combine that with its antioxidant-rich construction, and it becomes pretty hard to turn the stuff down. 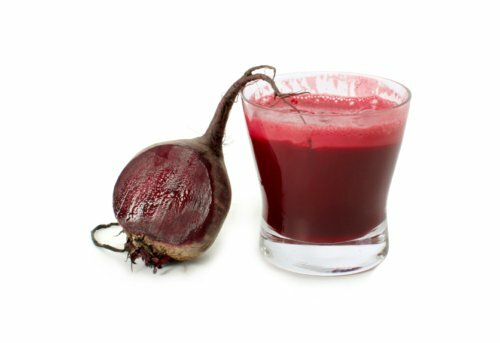 Try drinking a glass of nitrate-rich beetroot juice or eating beets about an hour before exercise for the best results. Is Beetroot Juice the Solution to Improving Endurance? Beeturia: How Long Does It Last? “With beetroot juice before exercise, aging brains look ‘younger’,” ScienceDaily, April 19, 2017; https://www.sciencedaily.com/releases/2017/04/170419091619.htm, last accessed April 24, 2017. Mollica, M., “Nitrate supplementation – ramp up the less well-known NO synthesizing pathway to boost performance and health,” Brinkzone, August 27, 2012; http://www.brinkzone.com/uncategorized/nitrate-supplementation-ramp-up-the-less-well-known-no-synthesizing-pathway-to-boost-performance-and-health/, last accessed April 24, 2017. Sygo, J., “Quirky dietary tips that just can’t be beet,” National Post, May 22, 2012; http://news.nationalpost.com/health/quirky-dietary-tips-that-just-cant-be-beet, last accessed April 24, 2017.